Primary and intermediate school children (years 1 to 8) are seen in dental vans which visit schools and in local community dental clinics. The free service operates during school terms, with schools letting parents know when the dental van will be visiting. If your child needs more complicated care or orthodontic treatment, the community dental service will arrange a referral to your family dentist or the Hospital Dental Service. At the end of Year 8, the community dental service will transfer your Year 8 child to free adolescent dental care. This can be your family dentist if you choose. If your Year 8 child is allocated a dentist who isn't your family dentist, you can change this by contacting the Adolescent Oral Health Coordinator on (03) 335-4230 or email freedentalcare@cdhb.health.nz. If you'd like to find a family dentist, there are many Christchurch and Canterbury dentists to choose from. Brush your child's teeth morning and night. Help your child with brushing until 8 years of age. Choose water or milk instead of carbonated drinks, soft drinks, cordials, or juice. 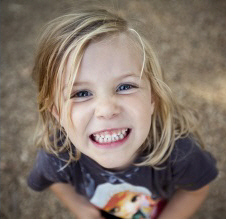 Don't rinse your child's teeth after brushing – 'swishing' and spitting is best. Having healthy teeth and gums helps protect your smile and supports your overall health. It can also avoid the pain and cost of decay.